Bank stock-rout hits bonuses; Derek Jeter invests in whistleblower app; Ray Dalio says expect lower returns, higher risk; Hookers 4 Hillary Offers 'Extras' To Nevada Clinton Supporters; and more. For bankers, getting a bonus in stock has become an albatross. Employees at Goldman Sachs Group Inc. have been hit with more than $400 million in paper losses thanks to a plunge in the value of stock bonuses paid out early last year, according to a Wall Street Journal analysis. Similar declines have been felt by advisers, traders and other staff across Wall Street. STOPit, a New York-based start-up that counts former New York Yankees shortstop Derek Jeter as an investor, is set to announce on Thursday that it is debuting a new product for financial institutions and other corporations that want to give their employees an anonymous way to expose fraud or other kinds of unethical or inappropriate behavior. Okapi Partners LLC, a proxy-solicitation adviser typically used by Starboard, has been calling Yahoo shareholders, said the people, who asked not to be identified because the process isn’t public. Firms such as Okapi often make these calls ahead of a potential proxy battle, and Starboard could push for new board members as soon as this month. The investor owned less than 1 percent of Yahoo’s stock at the end of last year. So the small investor actually makes money off the hedge funds. That&apos;s fun. But small-cap ETFs are down more than 17 percent in the past year, so why care about being paid a few extra basis points to own such lousy performers? The reason may be that many of the ETFs are actually beating their index over the long term. The largest of the bunch, IWM, has been posting benchmark-beating performance for a while now, as seen in the five-year return chart below. Not only did investors get free exposure to the Russell 2000 Index’s 27.9 percent return; they got paid an extra 0.25 percent on top. The National Bank of Hungary bought 200,000 rounds of live ammunition and 112 handguns for its security company, according to documents posted on a website for public procurements. Additional protection is needed due to the rise of "international security risks" including bomb and terror threats and migration, central bank Governor Gyorgy Matolcsy said in a written response to a lawmaker who asked about the purchases, posted on Parliament’s website Feb. 17. The group includes 490 workers at various legal brothels, including the Moonlight Bunny Ranch and Kit Kat Guest Ranch near Carson City, the Love Ranch Las Vegas and the Alien Cathouse, a space-themed brothel near Area 51. They&apos;re backing Clinton because they believe she is the presidential candidate most likely to protect Obamacare from being repealed, according to member Ivy Mae...Many of the Hookers 4 Hillary members are going the extra mile to stimulate interest in Clinton with brothel customers, such as offering a 25 percent discount to Nevada locals willing to caucus for the former secretary of state. "If you tell me you&apos;re caucusing or voting for Hillary, I will give you a free lunch or 30 extra minutes to use however you like," Kisses said. The Bridgewater Associates founder contended that central banks would "increasingly ease" through negative interest rates and bond-buying. But those methods would have limited effectiveness amid already easy policy, he argued. "As a result, central banks will increasingly be &apos;pushing on a string,&apos;" Dalio wrote, adding that "QE will be less and less effective because there is less &apos;gas in the tank.&apos;"
Bank of Japan Gov. Haruhiko Kuroda, who announced the nation’s first move into minus rates three weeks ago, found himself dodging a concerted attack in Parliament from lawmakers who charged the policy was victimizing consumers and sending a message of despair. Even a ruling-party member, Masahiro Ishida, called the policy hard to grasp. “It could have the opposite effect of confusing the market,” he said. Kanye West’s troubled release of his latest album, “The Life of Pablo,” has already cost the hip-hop star at least $10 million in sales, a review of estimated pirated downloads on Tuesday revealed. TorrentFreak, which tracks music piracy and file-sharing, reported that West’s album was illegally downloaded more than 500,000 times in the first 24 hours of its Feb. 14 release. That made it the most ripped-off album by far on The Pirate Bay and other file-sharing sites. A police review of Waffle House surveillance video showed Evans taking Mikeals’s drink into a store bathroom. She then returned the beverage without Mikeals realizing it had been missing. Investigators allege that Evans spiked the drink with methamphetamine while inside the bathroom. Cops report that they have not discovered a motive for the poisoning. Tsipras says ECB is choking him; 'WALL ST' vanity plate could be yours for 12k; Derek Jeter gets funding; "Financier in harassment suit lasted 2 minutes in bed"; and more. Mark Johnson ruins it for the rest of the forex world; Klarman has Baupost at 40 percent cash; Ray Dalio is talking wealth transfers; Amazon but for weed; and more. Occupy Sets Wall Street Tie-Up As Protesters Face Burnout (Bloomberg) Occupy Wall Street, the global movement against inequality that ignited in Manhattan last year, will mark its first anniversary by trying to block traffic in the financial district and encircle the New York Stock Exchange. Planning for the Sept. 17 protest, dubbed S17, follows months of internal debate and flagging interest, according to interviews with organizers. The morning action may include attempts to make citizens’ arrests of bankers, and some activists intend to bring handcuffs, they said. “We are here to bring you to justice,” said Sean McKeown, a 32-year-old chemist and New York University graduate who’s helping organize the demonstration. “We’re offering you the chance to repent for your sins.” HSBC Marks Plaza For Eviction Of Hong Kong Occupy Protest (Bloomberg) HSBC is marking out the area in its Hong Kong ground floor plaza that has been occupied by protesters for more than 10 months ahead of their eviction by court-authorized officers. 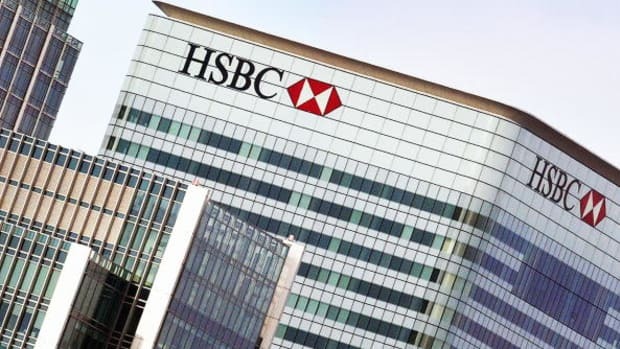 Hong Kong’s High Court has issued a writ of possession empowering a bailiff to re-possess the site, according to an internal HSBC memo obtained by Bloomberg News. Gareth Hewett, a HSBC spokesman, confirmed the content of the memo. “The process by which the bank takes back the plaza has reached a new stage and is now in the hands of the bailiff, whose job is to execute the writ,” according to the memo. The Occupy Central protest in Hong Kong, one of the longest-running demonstrations sparked by the Occupy Wall Street movement, numbered about 50 at the peak. They were ordered by the court to evacuate by 9 p.m. on Aug. 27. Stamford salts aim salvo at hedgie’s hq (NYP) Ray Dalio, founder of $130 billion asset manager Bridgewater Associates, is not making friends in his company’s new hometown of Stamford, Conn. Residents and officials of the coastal city are up in arms after early development of a piece of an 80-acre plot of land — now Bridgewater’s proposed waterfront home — resulted in the surprise demolition of part of a historic 14-acre boat yard. The demolition was specifically prohibited by Stamford officials...“To me, this is the latest outrage by Governor Malloy — giving a water view to a hedge-fund operator and taking away a boat yard that serviced well over 1,000 boats and boaters each year,” said Randy Dinter, a boat owner and member of the group Save Our Boatyard, founded by Maureen Boylan after the boat yard demolition. As Europe's Banks Stall, Companies Look Afar (WSJ) The increased search for alternative sources of funding is yet another indication that Europe's debt crisis is far from over. That could intensify in the fall, when the European Commission, European Central Bank and International Monetary Fund assess whether Greece has done enough to cut its debts. At the same time, some economists expect Spain to seek a rescue package to cut its own debt. Argentines Plan to Shoot Gulls to Save the Whales (NYT) What began as bizarre bird behavior has turned into something out of a horror film for threatened whales in Argentina, where seagulls have learned that pecking at the whales' backs can get them a regular seafood dinner. Seagull attacks on southern right whales have become so common now that authorities are planning to shoot the gulls in hopes of reducing their population...Seagulls around the city of Puerto Madryn discovered about a decade ago that by pecking at the whales as they come up for air, they can create open wounds. Then, each time the whales surface, it's dinner time: Gulls swoop down and dig in, cutting away skin and blubber with their beaks and claws. Marcelo Bertellotti's answer: Shoot the gulls that display this behavior with air rifles and hunting guns, and recover each downed bird before they are eaten along with the ammunition, causing still more damage to marine life. His "100-day Whale-Gull Action Plan" was approved by the government of Chubut, and provincial officials came out Tuesday in defense of it. Ackman: $900M Penney markdown (NYP) Activist investor Bill Ackman has been beating the drums for a sale of mall owner General Growth Properties in recent days, but it’s his stake in JCPenney that’s really causing him grief. The hedge-fund manager confessed to investors that his 18 percent stake in Penney had lowered returns by about $900 million this year. In the latest quarterly investor letter of his $10.5 billion Pershing Square firm, he said Penney “has cost us more than nine percentage points of gross return this year.” The hedge fund lost 6.4 percent in the quarter, after the retailer’s shares slid from their high of $43 in February. Asia's Tide Of Cash Hems Policy Makers (WSJ) Foreign investors are pumping money into several Asian economies, pushing up currencies, stocks and property prices, but threatening to complicate efforts by the region's policy makers to soften an economic slowdown. Investment flows to Southeast Asia and South Korea have swelled in recent months, and overseas money has even crept back into India, as global markets calmed and risky assets became popular again. Analysts expect such markets to get a further boost if central banks in the U.S. and Europe step in with additional measures to bolster their economies. Burglary Suspect Blamed for Thousands of Chicken Deaths (WBOC) Authorities say a Delmar man is facing burglary and related charges following allegations that he got drunk and turned off the power to three poultry houses, which led to the deaths of nearly 70,000 chickens. The Wicomico County Sheriff's Office reports that shortly after 9 a.m., Saturday, Aug. 25, a deputy responded to a reported incident at a poultry farm on the 32000 block of East Line Road in Delmar, Md. The deputy met with the property owner who stated that the electric power had been turned off to his three chicken houses on his property during the night. According to the property owner, this deprived the flock of food, water and cooling fans. As a result, nearly the entire flock was found deceased. Police said that when the property owner entered the control shed that controlled the power, he located an unknown man passed out on the floor of the shed, clad only in a T-shirt and boxer shorts. The man was also lying in a pool of his own urine and had a strong odor of alcohol coming from him, investigators said. Ray Dalio ponders impeachment; Leon Cooperman lives to trade again; murder trial hinges on Florida man's endowment; and more. 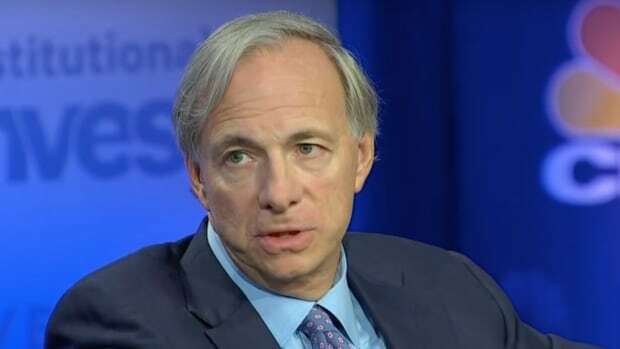 Ray Dalio frightened by populism; Goldman bored by ‘reflation’; politician emboldened by death of political correctness; and more.